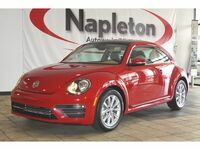 The Volkswagen Beetle TDI delivers 150 horsepower and 236 pound-feet of torque for low-end power that sips fuel. A 2.0-liter 4-cylinder TDI Clean Diesel engine powers this Beetle, offering up a reliable option that doesn't feel underpowered. 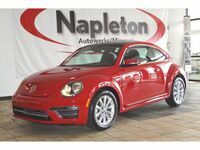 The Beetle TDi comes standard with a six-speed manual transmission, while the six-speed DSG automatic is available for those who prefer to avoid the clutch. Fuel economy is outstanding, with the Beetle TDI earning an EPA-estimated 31 city and 41 highway mpg rating. Cargo volume sits at 15.4 cubic feet with the rear seats upright and 29.9 cubic feet with the seats folded flat. Standard features include a rearview camera, touchscreen sound system, a dash-mounted performance gauge cluster and keyless access with push-button start. Some things never change, but technology in the auto world isn’t one of them. Though diesel engines once had a bad rap as oil burners that were bad for the environment, emissions technology has come a long way to limit pollution and eliminate the noxious black clouds of smoke which were once associated with diesel engines. Combine new emissions standards with the ultra-low sulfur diesel fuel available on the market today, and vehicles like the 2015 Volkswagen Beetle TDI in Springfield MO have become practical choices that are no longer noisy, sluggish or dirty. The result is a more fuel-efficient model that can compete with hybrid options when it comes to savings at the pump, while still appealing to budget-conscious shoppers. For those already considering the Beetle as an option for their next car, the TDI engine is a smart investment as diesel engines are built to be more durable in order to withstand the high stress associated with diesel combustion. The result is a vehicle known for long-term reliability, a fact well-recognized in the industry and reflected by the fact that diesel-powered vehicles fetch a higher price when it comes time to sell. Whether the intent is to drive your new car for many years to come, or trade in and upgrade in a few years, choosing diesel proves to be a sound investment. 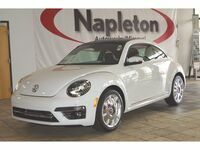 Interested in a 2015 Volkswagen Beetle TDI? There’s only one way to find out if the diesel option is the better option for you, and that’s scheduling a test drive at Napleton Volkswagen Springfield. 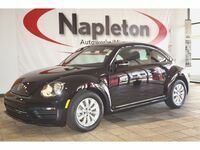 Standard features found in the 2015 Volkswagen Beetle TDI include a dash-mounted performance gauge cluster, keyless access with push-button start, customizable interior ambient lighting, heated front seats, a multi-function sport steering wheel, V-Tex leatherette upholstery, 17” Rotor wheels, Bluetooth with audio, a rearview camera, a touchscreen sound system and VW Car-Net connected features. Upgraded features include a panoramic sunroof, the Fender premium audio system, a touchscreen navigation system and a blind spot monitor with rear traffic alerts. 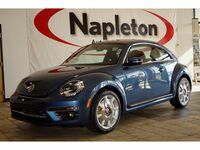 With an engine that delivers up to 150 horsepower and 236 pound-feet of torque, it can be expected that while the Beetle TDI looks exactly like the gasoline option, the driving experience will be a little different. Diesel engines truly shine at low RPMs, giving an aggressive feel from a stop without using much fuel. Many people prefer the feeling higher torque provides, but finding out if it’s right for you will only come by testing it for yourself. 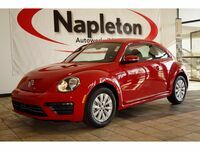 Schedule a test drive or stop by Napleton Volkswagen Springfield to see if the 2015 Volkswagen Beetle TDI is the right option for your lifestyle.